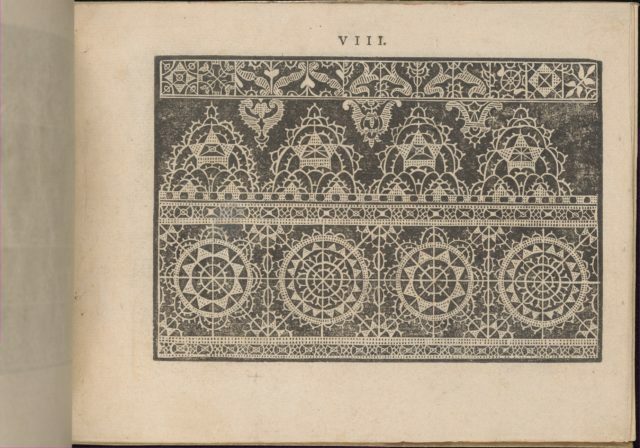 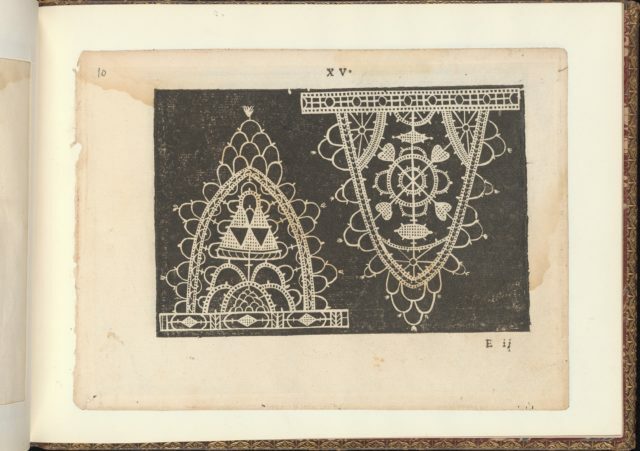 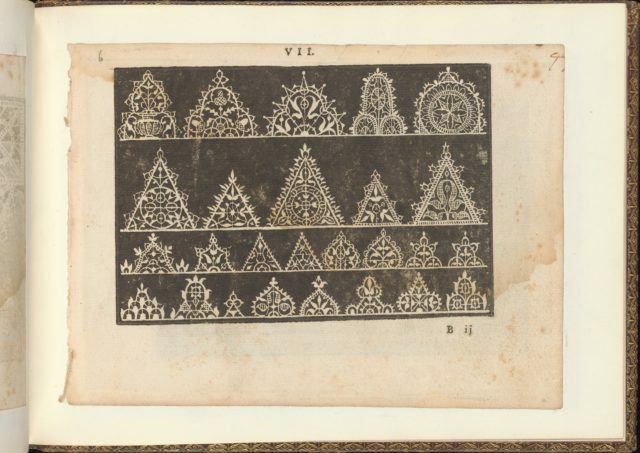 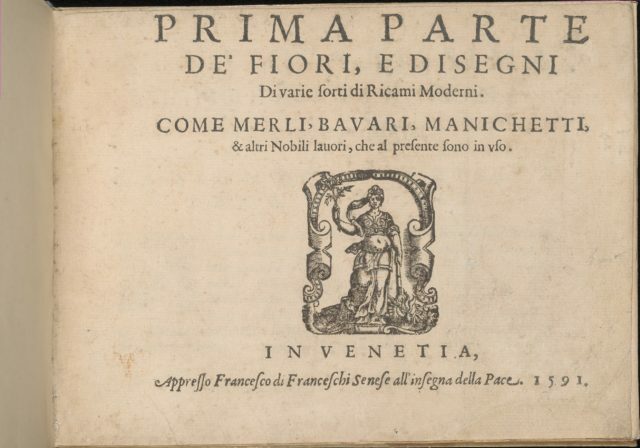 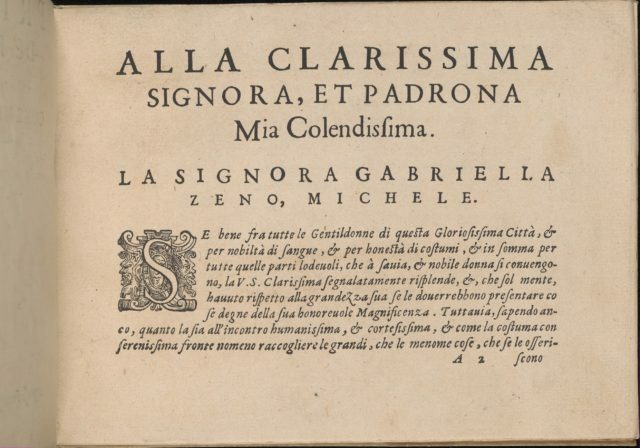 Written by Giovanni Battista Ciotti, published by Francesco de' Franceschi, Italian, active 16th century.From top to bottom, and left to right:Design composed of 3 horizontal registers. 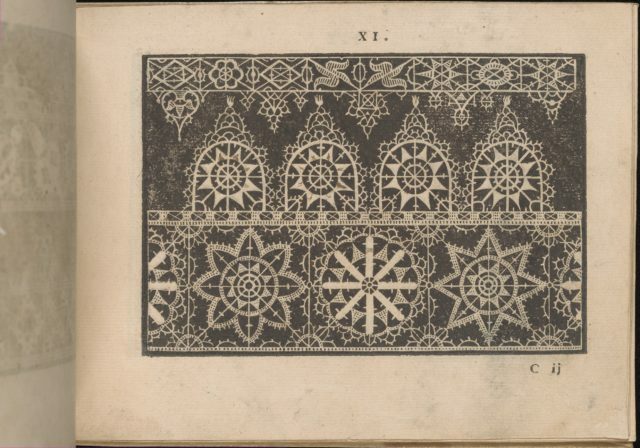 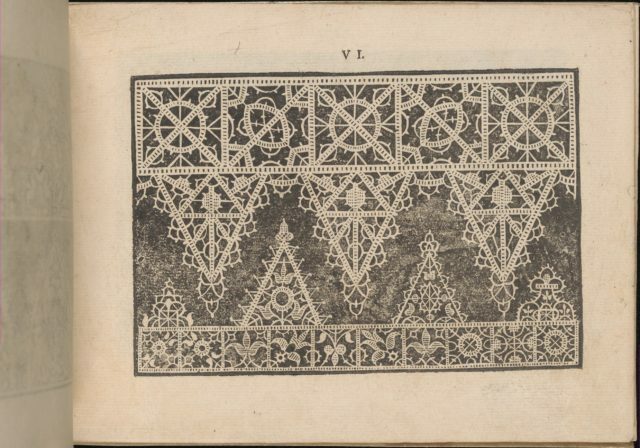 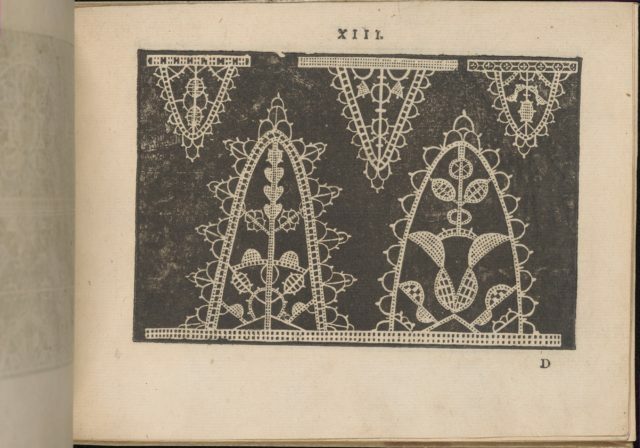 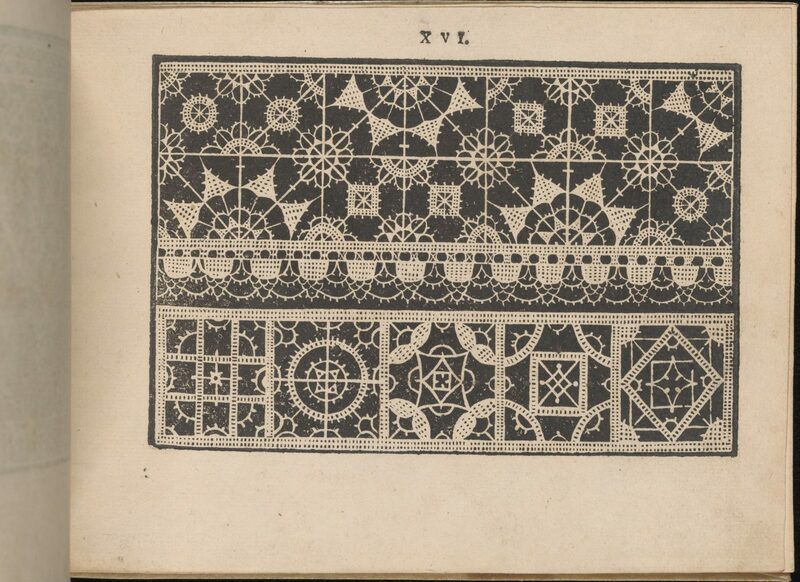 Top register is decorated with 2 levels of squares that are ornamented with a floral pattern. 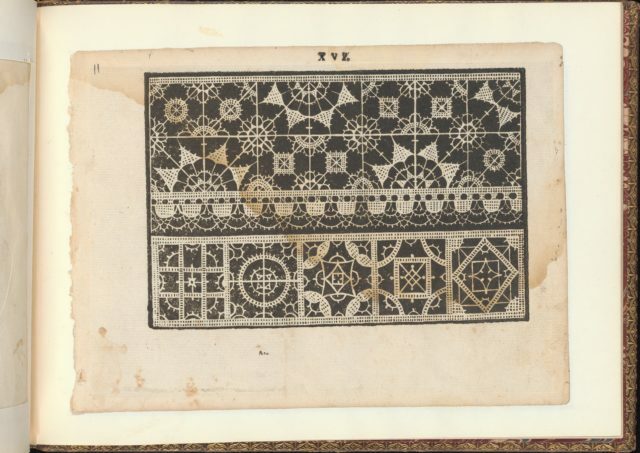 Middle register is decorated with a pattern of dotted semi-circles connected together by a series of stacked curving lines. 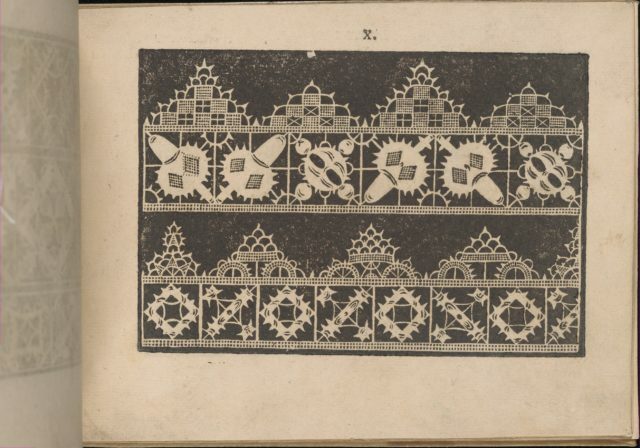 Bottom register is decorated with ornamented squares, each containing a different diamond motif in the center.